Thanks to a Florida attorney's love of Justin Timberlake, a state's appeals court overtuned a law allowing police to stop and ticket drivers with loud car stereos. For now, Sunshine State residents should feel free to howl along with "SexyBack." Attorney Richard Catalano was pulled over in 2007 while grooving to Timberlake in his Infiniti; the officer told him the sound was "plainly audible" from 25 feet away, and therefore against Florida law. In fact, the law defined "audible" to say that even if all an officer could hear was a bass note, that was enough for a citation. Catalano fought the ticket in court and lost, but filed an appeal. He noted that while police told him the law was useful for stopping people and conducting drug searches, it only applied to music coming from passenger vehicles. Commercial vehicles were exempt; a semi truck could blast its horns, or a politician could filibuster through a roof-mounted loudspeaker with no problem. 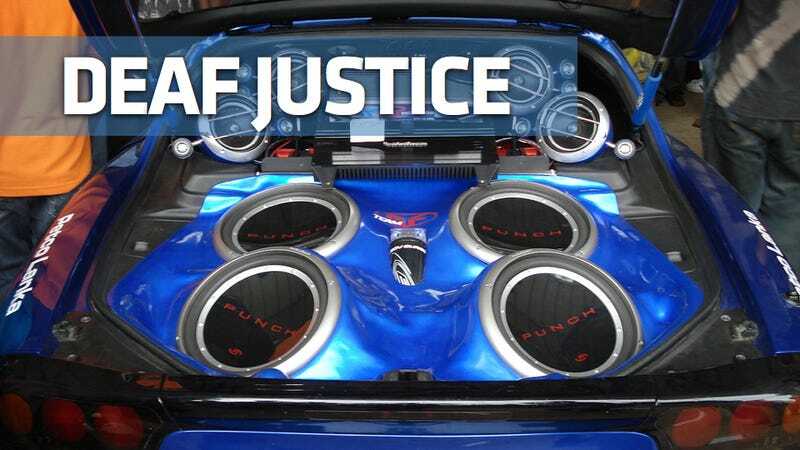 The Florida Second District Court of Appeals ruled last week that the law violated Catalano's First Amendment rights and threw it out — too late for many Florida residents, but just in time for Sarasota car stereo enthusiasts, where local officials wanted to impound vehicles for their first violation of the law. It's not clear yet whether Florida state officials will heed the court's advice, or go to the state Supreme Court justices and cry them a river.